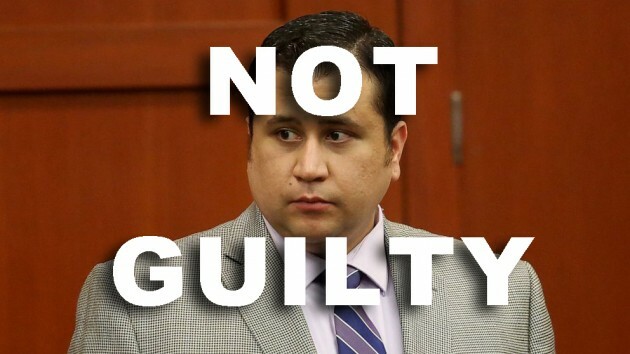 The “NOT GUILTY” verdict for Mr. George Zimmerman’s murder trial is a naked travesty and miscarriage of justice. WORLD ANTI-DEFAMATION LEAGUE OF AFRICA, ADLA (with the support of WORLD CONGRESS OF NATIONS,WORCON and 500 other International African and non-African organizations and human, civil rights groups) vehemently denounces, condemns and rejects it. After examining the facts of the case, we strongly maintain and declare that Mr. George Zimmerman is guilty of murdering Mr. Trayvon Martin and must be found guilty and punished for it. The blood of Africans and all people of African ancestry GLOBALLY is no long as cheap as it used to be, and cannot be shed at random with impunity anymore. On the other hand, we’ll not support any kind of rioting or protest by Africans and African Americans anywhere in the world due to the rage for this injustice. WORLD ANTI-DEFAMATION LEAGUE OF AFRICA (ADLA) IS DEDICATED TO GUIDING, PROTECTING, FIGHTING AND ADVOCATING FOR THE BEST INTERESTS OF AFRICANS, AFRICAN AMERICANS GLOBALLY AND TO STOP ALL INJUSTICE, CIVIL, HUMAN AND SOCIAL ABUSES, EXPLOITATIONS AND OPPRESSIONS OF AFRICANS ANDAFRICAN AMERICANS GLOBALLY. We cannot demand justice for the wrong that was done to us by breaking the law and showing disrespect to law and order. We cannot correct one wrong by doing wrong ourselves. We must stop cutting the branches and fruits on the tree of racism, injustice, exploitation, evil, wickedness, discrimination and oppression. We must begin by digging underground to get to the roots of the tree of racism and cut them from down there so that the tree of racism and evil against us and all of its branches, fruits and babies will die. There are many Caucasians and other races and nationalities that support Africa and African Americans and are against the evil and injustices that are being done to us. In Africa, there are many Africans who are of Caucasian ancestry and are Africans by nationality or birth. All Caucasians, Europeans, Americans, Asians and others are not racist. 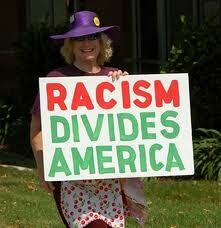 Many of them are also indirectly victims of racism. It affects them too. They are being exploited and oppressed too. By the racist and evil few among them. 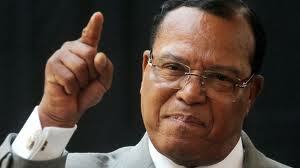 We must resist the temptation of generalization in condemning our oppressors, evil doers, racists and enemies. When one person commits a crime and does an evil, we must desist from condemning the entire race or ethnic group that he or she happens to belong. We must learn to condemn the evil acts that people do and not the people. Human beings of different races have mixed up and we’re now more related than before, depend on one another for our daily needs and survival on this planet. Many of us have friends and do businesses with others from other races, ethnicities and of different religions and political backgrounds. Therefore, it is no longer wise to condemn an entire race for the evils of some of them. It was this pragmatism and insight that helped and enabled President Nelson Mandela of South Africa to survive 26 yrs in prison, and with the support of the world community (billions of Caucasians, Asians and others) he finally became free, ended apartheid system and became the first African President of Republic of South Africa, and by so doing earned the love and acclaim of the whole world. For this reason, we’ll not support the destruction of properties and businesses owned by Caucasians (so called white people) anywhere. We’ll not support the attack or murder of Caucasians (so called white people) anywhere. Many Caucasians are good people! They are benevolent; provide jobs and aids to Africans and African Americans. (1) That The Feds and The Attorney General appoint a “Special prosecutor” to try this case again and bring justice to Trayvon Martin and his family. 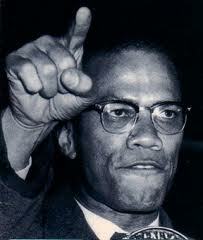 (2) All Celebrities in USA and outside USA (especially the African Americans ones) to open their mouths and speak up. (3) WORLD ANTI-DEFAMATION LEAGUE OF AFRICA, ADLA urges that at least the Presidents and Prime Ministers of fifty of the largest African countries should speak against this injustice and send strong protests to their American embassies and demand for justice to be done and if nothing is done, must temporally severe diplomatic relations with United States and boycott all USA made goods and services until justice is served and this travesty is corrected. (4) All rich Africans and African Americans must send protests to the city (Sanford) and state (Florida) where this heinous crime happened, to the Governor of Florida and the mayor of the City of Sanford and boycott them. 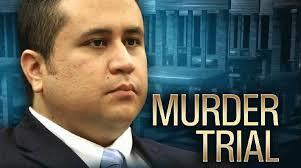 (5) All Africans and African Americans globally must understand that yesterday it was Trayvon. But tomorrow, it may be you, (reading this letter) or a loved one from your family; a relative, friend, associate or colleague. Therefore WORLD ANTI-DEFAMATION LEAGUE OF AFRICA, ADLA urges you as well as all supporters of Africans and African Americans to Google “list of civil rights organizations” on the internet and go to their sites and all petition sites and file complaints and demand swift justice for the murder of Mr. Trayvon Martin by George Zimmerman. (6) We urge all friends of Africans and African Americans in USA and globally to join and support us in fighting for justice for Trayvon Martin by filing protests and complaints on the internet at US Congress, Attorney General’s, White House and other government sites requesting for swift action to be taken immediately to correct this injustice done to Trayvon Martin and his family. Please remember that there are hundreds of companies, especially the largest American, European, Asian and South American companies doing business in Africa. Think of the impact it will make on your country if they are all closed down and Africa stops supplying all the oil, raw, mineral and natural resources that power the world economy and our modern world technology! Think of all Africa’s gold and diamond that is the foundation of world financial system and the stock markets of the countries in the world. Please be reminded that if you’re true friends of Africans and against the evils and injustice being done to us, you have to speak out during times like this. To be silent will mean to us that you support the evil and injustice done to us! You can’t keep claiming to be our friend, but when we have a problem, you remain silent! Friends help one another during the time of problems! Where are all friends of Africa and African Americans all over the world? (a) Phone the American Embassy in your country and condemn this injustice; demand that an “A Special Prosecutor” be appointed by US Justice Dept to retry this case and bring justice. (b) Call members of US Congress, go to their sites on the internet also and file complaints. (c) Call President Barack Obama and protest and request that White House take an immediate action to bring justice for Trayvon Martin and his family. (d) Consider freezing all USA accounts and assets in your countries, until justice is done for Trayvon Martin. (e) Consider closing all US army bases in your countries. We are urging all African countries where USA has bases to close them immediately and order all US Armies stationed there to leave within 24 hrs or Africa will declare war for illegal occupations of their lands and be ready to fight to death. (8) In your actions, remember all human beings belong to one humanity despite all our different colors, races, ethnicities, nationalities, religions, tribes, professions, social and financial positions in life and languages. 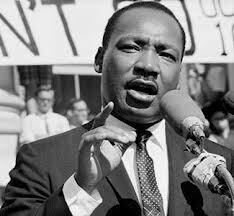 USA cannot continue to preach and advocate for human, civil rights and justice all over the world , boycott and punish other countries at their slightest whim, on one hand, but on the other hand, she continues to violate the basic human, civil rights of its citizens, do evil to them, especially the Africans and African Americans and deny them justice. That is fraud and hypocrisy. It is time for USA to be sued at World Court for disturbing world peace and violating the human and civil rights of its citizens, especially Africans and African Americans. If World Court refuses to take action against USA, then it will be time for All African countries and all their supporters who do business with them or have businesses in Africa to boycott USA, its goods and services; close all USA embassies and send their staff home back to USA; cancel their memberships in United Nations, close all United Nations offices in their countries! Enough. Here I Am, Lord. Send Me.